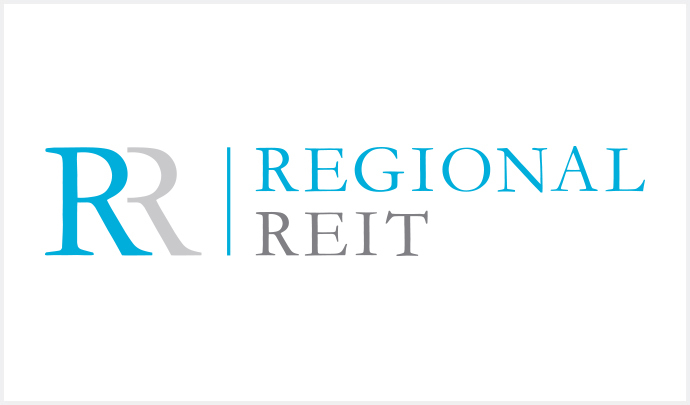 PRESS RELEASE: Glasgow, 23 August 2017 – Regional REIT, the UK regional office and industrial property focused real estate investment trust, today announces that London & Scottish, the property and asset manager to Regional REIT Limited, has recently secured a number of new lettings and regears. The new lettings and regears amount to in excess of 56,400 sq. ft., and will provide additional rental income of over £0.464m per annum. Letting of Unit D, Manor Road, an industrial unit of 9,370 sq. ft., to ACOMS Limited. The letting, £65,000 pa, is for 10-years with a 5-year break. Letting of a further two floors of office space, amounting to 8,152 sq. ft., at a headline rent of £101,900 pa. This follows on from other recent lettings, to Just Add Water and to Go Ballistic Limited. Letting of Grecian Crescent, a 25,550 sq. ft. industrial unit, on a 10-year lease with a 5-year break, to Servlite UK Limited, at an annual rent of £121,600 pa. Letting of the final unit of 2,147 sq. ft. on the Thames Trading Estate, a mixed-use light industrial estate, at an annual rent of c. £11,300 pa, to ABB Windows Limited. Letting of the final unit of a high quality, multi-let city centre office building, of 3,607 sq. ft. to Purple Bridge Publishing Ltd, at a rental of £45,088 pa for a period of 4-years. Integral UK Limited has agreed a new 10-year lease on the first floor (7,598 sq. ft.), at a headline rent of £119,527 pa. The property is fully let. In early August 2017 London & Scottish Property agreed the letting of Unit D, Manor Road, a 9,370 sq. ft. industrial unit recently refurbished by London & Scottish, to ACOMS Limited, a lift services company. The letting, £65,000 pa, is for 10-years with a 5-year break, at £6.93 psf. The letting follows London & Scottish’s recent refurbishment of the units on the estate and the letting of Unit A with an improvement in rental tone now being achieved. In August 2017 London & Scottish Property let two floors (sixth and seventh) of office space at Arena Point, amounting to 8,152 sq. ft., to Interserve, the multi-national support services and construction company. The letting is for 5-years, subject to a tenant break at the third anniversary on the 7th floor and second and third anniversaries on the 6th floor, at £12.50 psf. This follows on from other recent lettings, to Just Add Water and to Go Ballistic Limited. The lettings come with the completion in July 2017 of the Phase One refurbishment (foyer/reception, basement and sixth-seventh floors). Lettings to date have generated annualised additional rental income of some £149,500 pa. Including this letting the property has achieved occupancy of 75.9% (by value) for the overall office space of the building. Arena Point was acquired in March 2016 as part of the “Wing” portfolio. The site was rebranded (formerly ‘Tower North Central’), with new high-level illuminated signage and the launch of a marketing campaign highlighting the property as a landmark location in the cityscape. The plan has been for a progressive three phase refurbishment of foyer, basement service area and the first to seventh floors with total committed capex of c. £1.1m. This is to be followed by the letting of blocks of floors to secure an ongoing and progressive uplift in rental rates which is now being achieved. The Phase Two refurbishment (fourth and fifth floors) is currently being advanced, with completion expected in September 2017. The final phase of refurbishment will cover the second and third floors and is expected to be completed in Q4 2017. In July 2017 London & Scottish Property let Grecian Crescent, a 25,609 sq. ft. industrial unit on a 10-year lease with a 5-year break. The new tenant is Servlite UK Limited, a lighting product wholesaler, for an annual rent of £121,600 pa, or £4.75 psf, following London & Scottish’s recent refurbishment of the property. The letting demonstrates the ongoing strength of the North-west’s industrial property market. In June 2017 London & Scottish Property let the final unit of 2,147 sq. ft. on the Thames Trading Estate to ABB Windows Limited. Thames Trading Estate is a mixed-use light industrial site of 1980s construction consisting of 18 units with a total area of some 31,000 sq. ft..
At acquisition in August 2014, Thames Trading Estate had occupancy of 54% and a net rental income of only £76,350 pa. Regional REIT initiated a rolling programme of refurbishment, as well as appointing new letting agents and launching an improved marketing campaign. The total investment amounted to some £165,000 with common area refurbishment funded by the service charge and recovered from tenants. Lease regears were completed with many of the incumbent tenants, greatly improving headline rents. On full occupation Thames Trading Estate produces a total rental income of c. £160,000 pa, typically on 5-year lease terms, representing an increase of some 115% on the income at acquisition. Thames Trading Estate represents the typical opportunistic, secondary asset that Regional REIT looks to acquire, offering significant property asset management and letting opportunities with our “hands-on, in-house” management approach by London & Scottish Property Asset Management, the Asset Manager. Letting of the final unit of a high quality, multi-let city centre office building. The unit, on the third floor, extends to 3,607 sq. ft. and has been let to Nottingham-based Purple Bridge Publishing Ltd, at a rental of £45,088 pa for a period of 4-years. Integral UK Limited has agreed a new 10-year lease on the first floor which extends to 7,598 sq. ft. at a headline rent of £119,527 pa. This high quality, multi-let, town centre office building has a strong line-up of significant tenants that includes Babcock Networks and Crimestoppers. The property is fully let.